Ma Baker’s has been open in Worcester since 1966. 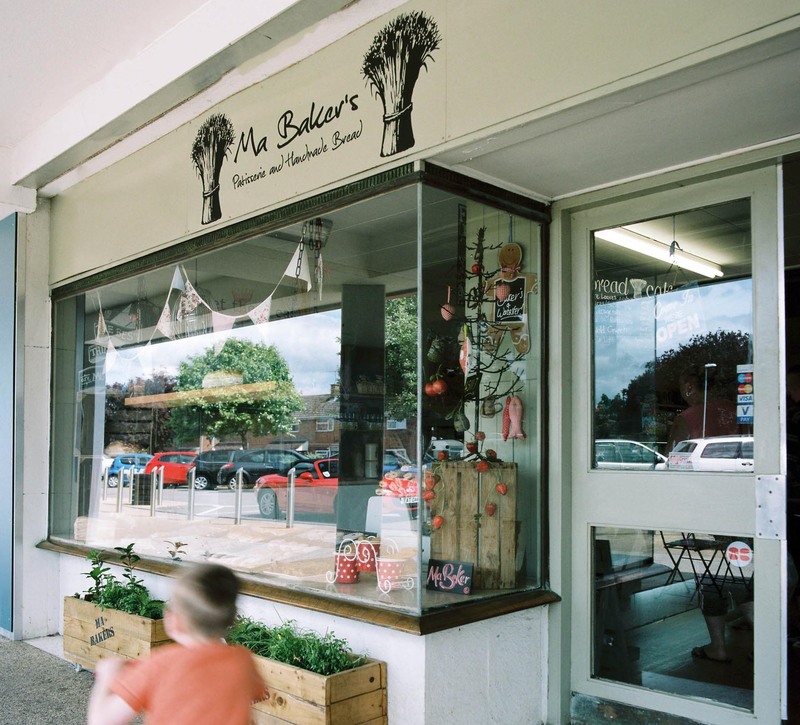 This Bakery has served the local community for over 50 years. 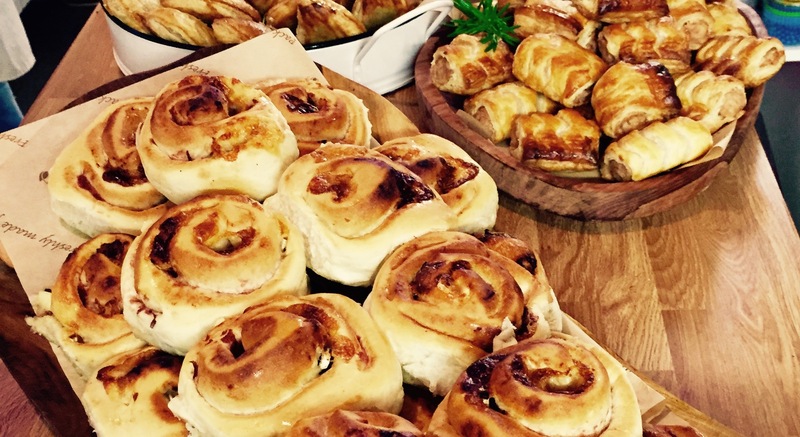 It’s craft bread and legendary lardy cakes are made fresh on the premises daily. Why not pop in and try our succulent roast pork rolls, served up with lashings of stuffing and apple sauce. All our pork comes from free range pigs and is supplied by Narraways of St Johns. Our bread is made with 12 hour fermented dough, giving it a flavour that is sublime. If you want a certain type of bread and you see we don’t sell it… Tell us, we’d love to create it with you. We also offer wholesale services for your business/restaurant/pub and catering for businesses or private functions. Check out our catering page for more details. Why not pop in and try us… Trust me, you’ll love our products. 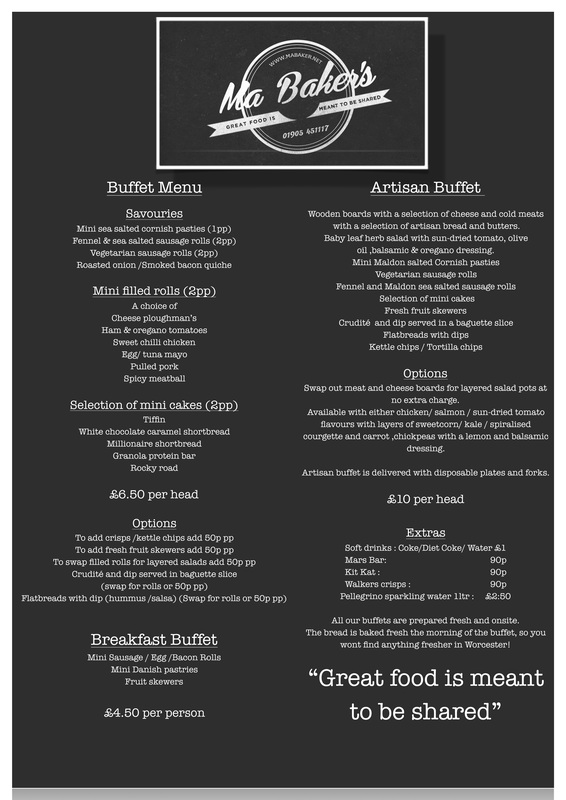 We pride ourselves on providing the best buffets in Worcestershire. Our rolls, fresh the oven are sliced and filled with the best ingredients. Our mini sausage rolls laced with fennel seeds and sea salt and our mini Cornish pasties make your business look amazing. Fresh babyleaf salads dressed in Olive oil and fresh herbs picked that morning from our herb garden. Served on olive wood boards and delivered free of charge. You will not be disappointed.